Es gibt einen riesigen Hype um das Thema Kochen: Kochsendungen, Rezepte, Blogs, Shows, Bücher… jeder ist Hobbykoch oder denkt es zu sein. Aber wo findet man die eigentlichen Profis, welche hinter den Kulissen stehen, mit deren Leistungen, beruflichen Stationen, mit all Ihren Fähigkeiten und Interessen? 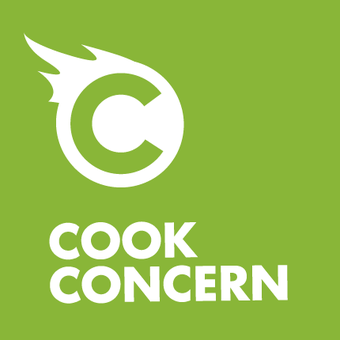 Ab jetzt auf Cook Concern, dem Portal nur für professionelle Köche. May I simply say what a comfort to find somebody that truly knows what they are talking about on the web. You actually know how to bring a problem to light and make it important. More and more people should look at this and understand this side of the story. It's surprising you aren't more popular because you definitely possess the gift. I like the helpful information you supply for your articles. I'll bookmark your blog and test once more here regularly. I'm quite sure I will be informed many new stuff right here! Good luck for the following! I think what you typed was actually very logical. But, consider this, suppose you were to write a awesome headline? I ain't saying your information isn't solid., however suppose you added a headline that grabbed folk's attention? I mean %BLOG_TITLE% is a little plain. You should look at Yahoo's home page and watch how they create post headlines to get people to open the links. You might try adding a video or a picture or two to grab readers excited about what you've written. In my opinion, it might make your website a little livelier. I got this web page from my buddy who shared with me on the topic of this website and now this time I am browsing this web site and reading very informative posts here. What's up, after reading this amazing piece of writing i am too cheerful to share my familiarity here with mates.